Extra! Extra! 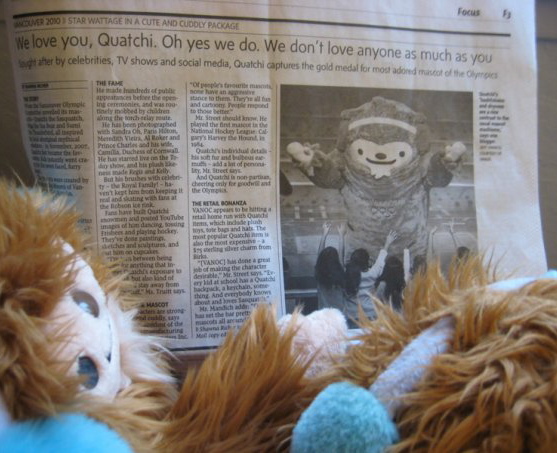 Read All About Quatchi! 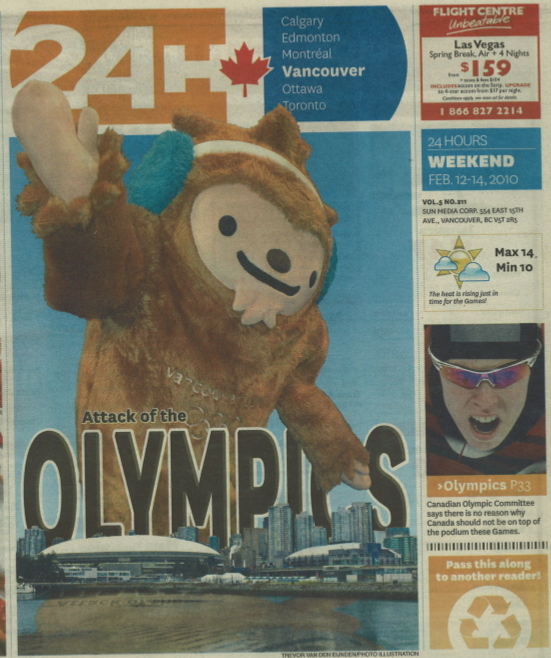 Above, a Godzilla-like Quatchi terrorizes Vancouver in “Attack of the Olympics,” the front-page story of the February 12-14 24 Hours Vancouver newspaper. We first spotted the image in this cool photo by Cat Segovia, who kindly scanned her copy for us and sent it in… Thanks, Cat! 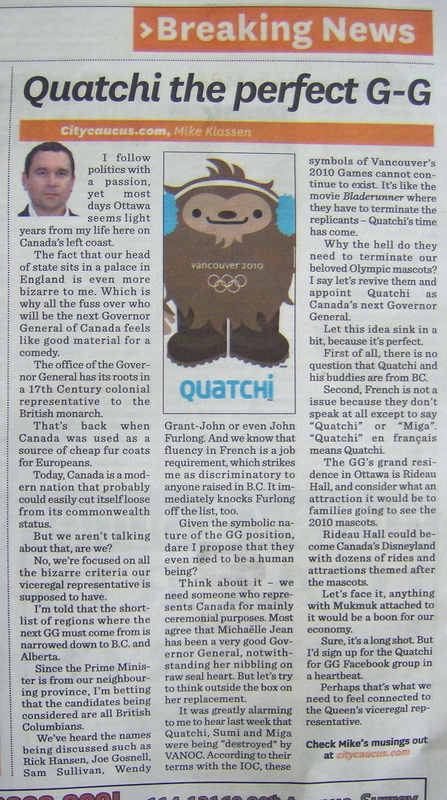 Below is a pair of Quatchii reading Shawna Richer’s CTV article as it a appeared in the February 19 Globe and Mail (at least in some editions of the paper — strangely, it didn’t appear in the Vancouver edition). Found by Lauren C. on Meomi’s Facebook page. Mike Klassen persuasively argues that our boy should be Canada’s next Governor General — read here. This entry was posted in Uncategorized and tagged Quatchi, update. Bookmark the permalink. 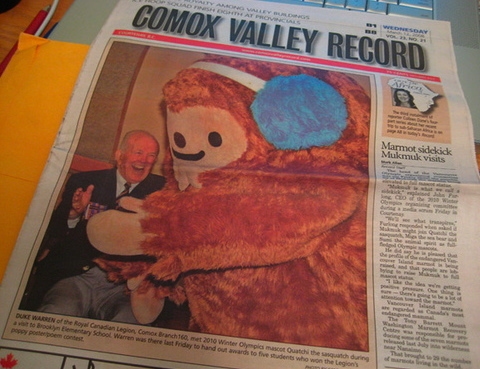 Quatchi & Miga were also on the cover of the Province a few months back. It was a photo of them holding giant event tickets! !